The "new suit" features fitted jackets paired with slim pants and skirts, for a polished, tailored look. 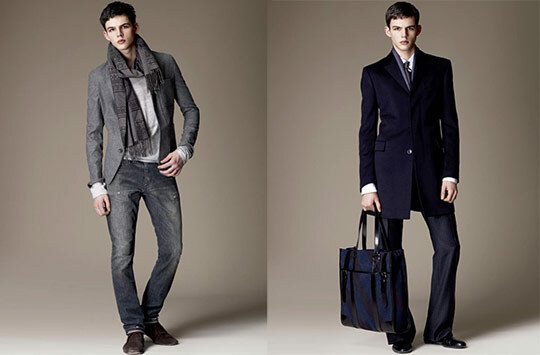 Consider a mandarin collar or washed wool plaid blazer with a favorite pair of pants for sophisticated style. Or menswear-styled suit jackets, softened with feminine details and gentle draping, create a look that works in a boardroom or a bistro. Give your pants some pizzazz by wearing cropped or wide-legged styles. Several top designers explored this trend with contrasting looks-pairing loose with tight and long with short. Anyone can wear this look by balancing the silhouette with heels or an appropriate top. Luxurious velvet made a comeback this season. Chadwick's designs feature crushed and jewelry-close velvet blazers that create a modern look. From chunky cable to fine gauge, there's a knit for all occasions. For a cozy option on chilly fall nights, choose a sweater-knit. For a feminine spin, try a twin set lined with ruffles or a beaded cardigan. For tasteful fall layering, it's all in the details. Pieces trimmed in lace or ruffles create a romantic touch under shirts and jackets. Wound along the hem of a skirt or down a pant leg, embroidery adds a splash of style. Paisley and floral designs are classic twists on this modern trend. One signature snapshot is a jacket cinched at the waist with a belt. Pair it with a boot of any height for an up-to-the-minute look.